On June 22, DigiX 2018 HUAWEI Consumer Business Group · Global Partners and Developers Conference (HUAWEI DigiX Conference) officially commenced at the HUAWEI Beijing Research centre. Nearly one thousand developers and partners from around the world gathered to discuss how to create a global, creative ecology. The conference, with its subject, “Openness and Innovation”, focused on connectivity, intelligence, and globalization, and on how to connect every user with precise, high-quality content and services. At the conference, HUAWEI officially released the all-scenario ecological strategy, plans to fully implement their “Shining Star” programme, and set up the DigiX Innovation Studio. Through the “Chipset-Device-Cloud” open platform, HUAWEI hopes to bring users a better digital life and empower partners. At the same time, HUAWEI HiLink’s ecological brand—HUAWEI ZHIXUAN, was also officially released at this conference. In the opening speech, Richard Yu, CEO of HUAWEI Consumers Business Group (BG), launched the full-scenario ecological strategy. In terms of hardware, mobile phones are going to be a primary portal. Tablets, PCs, wearable devices, TVs, speakers, and automobiles are secondary portals, with lighting, security, video monitoring and other items being used for IoT hardware. This three-layer ecology tightly envelopes users in a fully connected digital world. For services, HUAWEI focuses on how users use these services. HUAWEI uses intelligent engine, real-time user perception, need prediction, and precise matching of services and content, to deliver precisely targeted, instantly available services and a revolutionary new application experience. Richard Yu said that over the past seven years, HUAWEI has seen steady growth in its consumer business, with the revenue reaching 237.2 billion RMB by 2017, and shipment of HUAWEI mobile phones reaching 153 million. In 2018, HUAWEI Device reached a new high, with a market share of 29% in China, placing HUAWEI in first place for four consecutive years, and solidly in the top three globally, almost in second place. HUAWEI Mobile Services has more than 400 million registered users worldwide, with its business covering more than 170 countries and regions, and 15 data centres deployed around the world. With the intelligent era approaching, HUAWEI officially proposed "the full-scenario ecological strategy". With the collabourative strategy of “Chipset-Device-Cloud” open platform, HUAWEI is committed to bringing users better digital life as well as empower partners. Richard Yu said that HUAWEI’s full-scenario ecological strategy focused on five main areas: personal devices, automobiles, home, office, and health & fitness. HUAWEI is committed to building an interactive portal based on this full-scenario strategy. 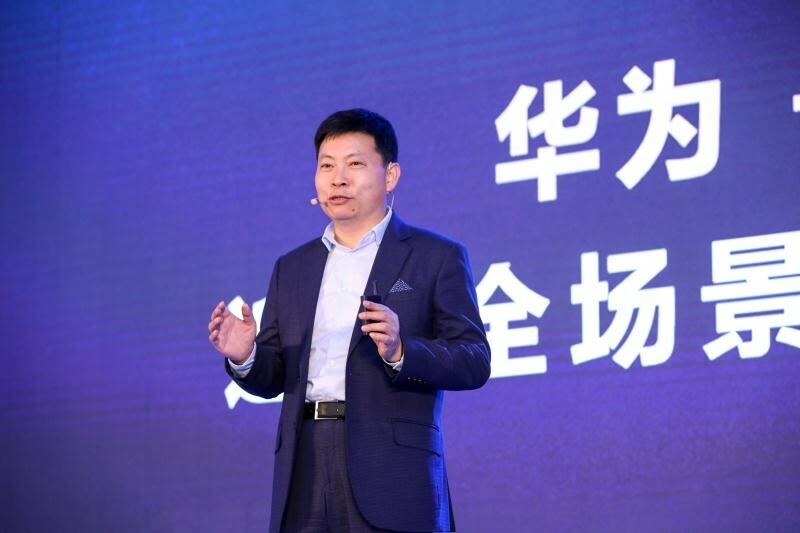 At the conference, Zhang Ping’an, President of Consumer Cloud Service, HUAWEI Consumer BG, delivered a keynote speech entitled " Join Shining Star programme, Win Digitization Together” . Mr. Zhang said that with the digital era approaching, HUAWEI Mobile Services is committed to providing innovative fertile land for full-scenario intelligent digital services. HUAWEI Mobile Services is committed to building an open and win-win platform based on the “Chipset-Device-Cloud” strategy. Through the “Shining Star” programme and DigiX Innovation Studio, HUAWEI Mobile Services empowers partners and developers, provides high-quality content and services to global users, and with them, explores better digital life. HUAWEI Mobile Services fully implemented the "Shining Star" programme for more than 450 thousand developers worldwide. Concerning AI, AR / VR, IoT, instant service and other fields, this programme provides partners and developers with talent training, development support, innovation support, marketing resources and cloud infrastructure resources support to build fertile soil for this digital ecology, to motivate and support developers in multiple dimensions, and to support innovative new applications. HUAWEI will also build a DigiX Innovation Studio, a studio where games and educational applications are developed; and where applications for children, or for financial and security fields can be developed. The DigiX Innovation Studio empowers full-scenario digital service innovation. With the help of the innovative global amplifier that HUAWEI Mobile Services provides, developers can deliver global coverage with just a single access point, and they can share these achievements with users around the world. Mr. Zhang predicted a 100% increase in partner earnings for 2018. Wang Chenglu, President of Software Engineering Department, HUAWEI's Consumer BG, delivered a keynote speech entitled "Best Experience of Technology Accumulation and Best Platform Opening". From Born Fast Stay Fast Technology, to the new GPU Turbo technology, every breakthrough in EMUI comes from the slow accumulation of technological knowhow over many years. EMUI's research and development centres are spread around the world. They shape trends in technological development through forward-looking research and development. We are also working with industry and academia to create the strongest technology possible and to constantly improve user experience. Wang Chenglu said EMUI is committed to being a fully open system, a system leading the direction of AI technology. By building the HiAI intelligent platform in an ecological fashion, developers can more quickly take advantage of more powerful AI processing from HUAWEI. Developers can provide users with a better intelligent application experience. The EMUI project is committed to resource sharing and to consolidating technical resources on an open platform. EMUI will be actively contributing to the industry, and continuously sharing an open architecture that new capabilities can be built on top of. OpenLabs will be working together with the Android green alliance to promote win-win results in the industry, and together we will deliver the best, most innovative experience to end users. HUAWEI HiLink is an open platform for HUAWEI's smart home platform. HUAWEI HiLink has already partnered with over 150 brands to launch over 400 products connecting 400 million users. In today's age of intelligent technology, user experience is being continuously upgraded. 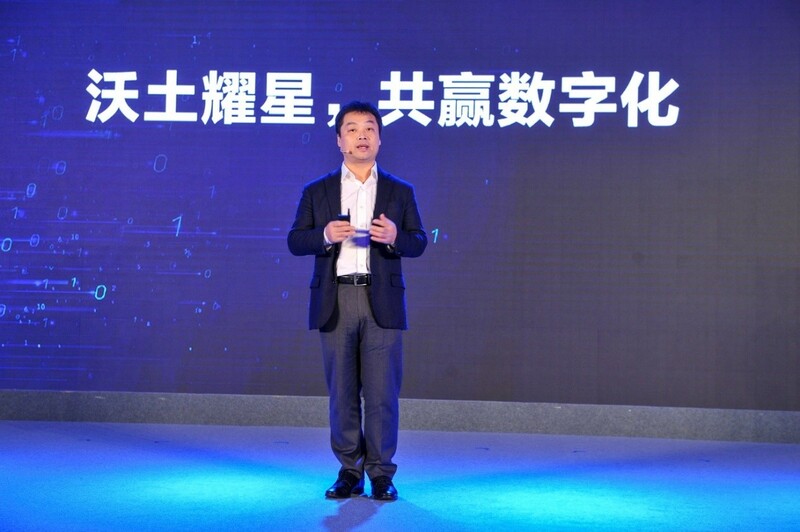 The general manager of the HUAWEI Consumer BG smart home has formally launched the HUAWEI HiLink eco-brand - made by HUAWEI ZHIXUAN. This brand is hoped to be the first choice for the smart life of users around the world. For all of HUAWEI's branded products, HUAWEI will start with a function definition, an ID design, a quality control system, and a consistent app experience. Then there will be the technical support, support that is comprehensive so that product quality and the user experience can be ensured. HUAWEI's ZHIXUAN will start with coloured light bulbs, aromatherapy lamps and reading lamps. Consumers can buy all of these products at HUAWEI Vmall. In addition to the keynote speech delivered by members of top management at HUAWEI Consumer BG, many industry leaders also shared their insights on various discussion boards. In his "Smart Future" speech, the founder and CEO of the 360, Zhou Hongyi, said that 360 would engage in strategic cooperation with HUAWEI, using terminal AI to protect against unknown threats and build a safety response system. Zhang Chaoyang, chairman and CEO of Sohu, shared Sohu's plan for the smart future. Four business sectors, media, video, gaming and SEM; will give Sohu's a strong tactical advantage and produce an overall improvement in user experience through the use of a range of different applications. Wang Yongdong, corporate VP, GM of STAC of Microsoft, shared one of the latest developments in artificial emotional intelligence, their chat-bot, Xiaoice. In his talk, Wang discussed how cooperation between Microsoft and HUAWEI in the field of AI will continue expand into more artificial intelligence application scenarios in the future. Representatives of HUAWEI's ecological partners delivered speeches with the subject "Innovative Cooperation", sharing their most innovative practices. According to the executive vice President of the China UnionPay, UnionPay has been working with HUAWEI Consumer BG for a long time, and the principles of openness and win-win that have made it possible for them to promote innovative, high-quality, mobile financial services and to the general population. Zhu Shunyan, UC & New Media Business Group president, said that through cooperation with HUAWEI, the UC business group has provided consumers with more smart Internet opening services, which has continuously improved the user experience. Fu Cairui, the founder, chairman & CEO of Hujiang EdTech has shared a plan where by working together with HUAWEI, schools in the remote areas are provided access to a top-flight educational curriculum, and curriculum that makes learning easier, fairer, and more fun. In the main forum on June 22nd, two high-level conversations were particularly striking. Ye Jun, general manager of Tencent Mobile Browse Product Department; Qian Cheng, deputy chairman of the board, ECOVACS ROBOTICS; Li Qilin, co-founder and CTO of Afanty; Shan Xiaohu, PwC Strategy&, dead of TMT Practice; MAO Yumin, director of Software Engineering Technology Planning and Product Management Dept, HUAWEI Consumer BG; and Wang Wei, chief information officer of Sina Group, discussed how "artificial intelligence can brighten up better digital life". The subject was "Ecological fertile soil leads to innovation and growth", and Yu Gan, chief financial officer of Alibaba Culture and Entertainment Group and CEO of Ali Literature; Li Zhongjun, general manager of Baidu Union; Zheng Wei, vice President of Weibo; Li Kefeng, vice President of JD.com Group ; Shao Yang, president of Strategy Marketing, HUAWEI Consumer BG; and Deng Lu, Founder / Producer of Lu’s Time, a well-known bilingual host; had a heated discussion and encouraged more developers to jointly build the digital ecology. The conference was held from the 22nd to the 23rd. On the 23rd at the Exhibition centre and Q13 park of HUAWEI Beijing Research centre, the conference set up open ability ecological sub-forums concerning the subjects including AI, PPS and pre-load commercialization, HUAWEI Video & HUAWEI Reader content cooperation, HUAWEI Music, HUAWEI Themes, Search & Information, and Better Outbound Services, etc. Moreover, there were also technological sub-forums about Smart Home, HUAWEI Ability Gallery, EMUI Open Capability, PPS, AR, VR, HMS & HUAWEI Pay and Smart Wear & Sports and Health. Innovation starts with experience. Cooperation connects to the future. The open ecological platform built by HUAWEI under the cooperation of “Chipset-Device-Cloud” has created a fertile land for global partners. Together with these partners, HUAWEI will embrace the intelligent revolution and continue to explore better digital life.